It’s a New Batch of Gremlins! 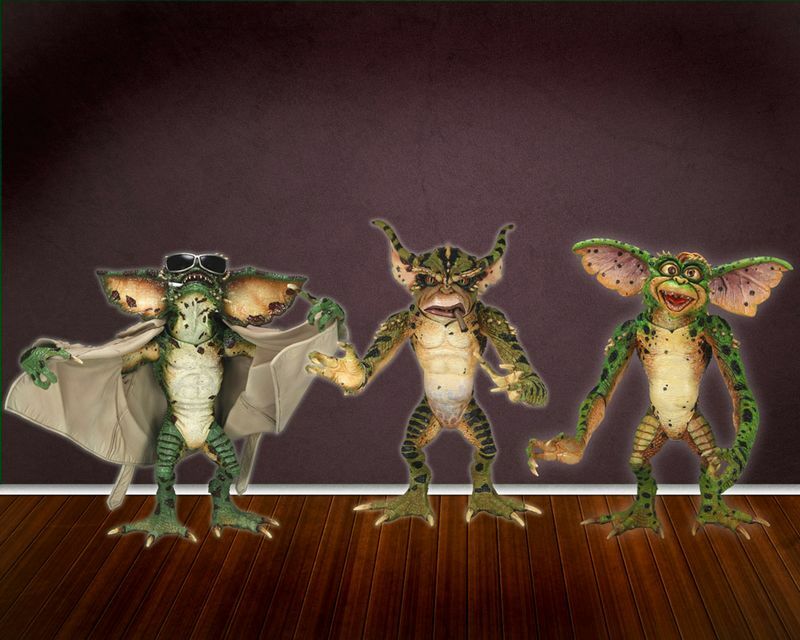 You are here: NECAOnline.com » Licenses » Movies » Gremlins » It’s a New Batch of Gremlins! Not to be confused with our other Gremlins Series 1, which featured the adorable Mogwais, THIS Gremlins Series 1 is all bad, all the time. That’s right. 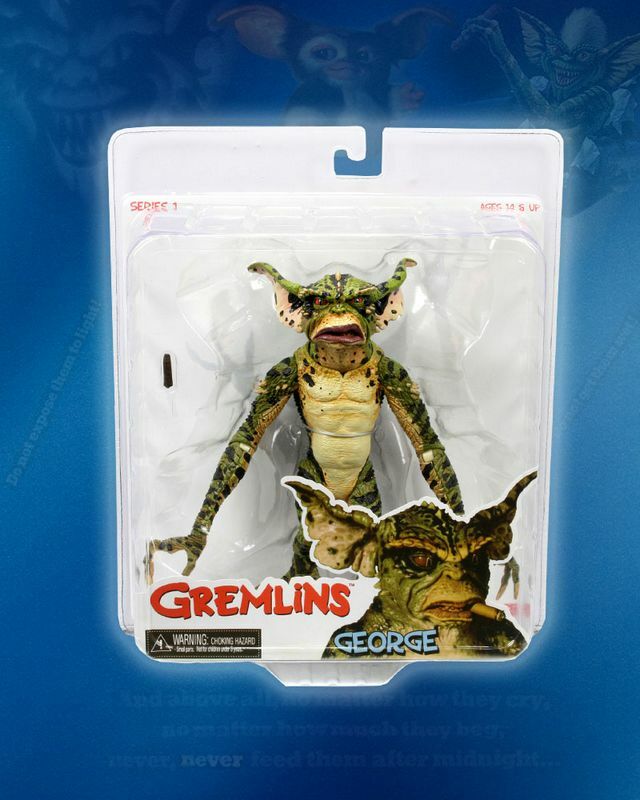 It’s the Gremlins themselves, brought to life for the first time as 7″ scale action figures! We took a few of our favorite Gremlins from the second movie (that’s Gremlins 2: The New Batch), set our sculptors on the case, and the result is nothing short of fantastic. We’ve got three brand-new renditions of classic Gremlins monster — the George Gremlin, the Flasher Gremlin and the Daffy Gremlin! Each figure is gorgeously detailed and stands about 6″ tall. The George Gremlin says goodnight Gracie with a trademark scowl and cigar, while the Flasher Gremlin has a flexible trenchcoat, cigarette and removable sunglasses — just so, you know, no one recognizes him as a Gremlin. Much less villainous in its mischief is the Daffy Gremlin, which comes with a noisemaker, gag glasses and a winning smile. 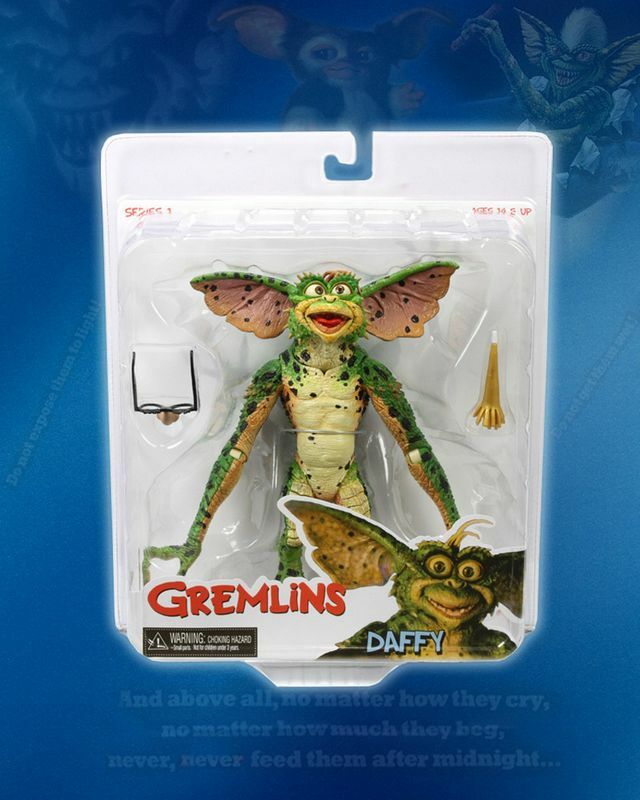 Gremlins Series 1 is due out this month and available for preorder now. More info here. Keep it tuned to NECAOnline.com for more on your favorite games, movies and more! 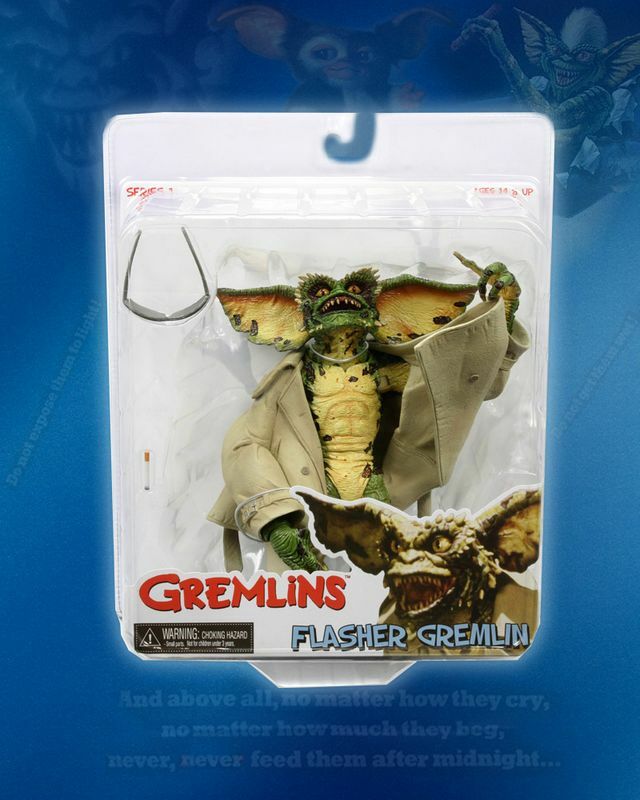 Check out our Gremlins Figures on Amazon.